I love his words. But I also love the stories, and so I can thoroughly enjoy a ballet based on Shakespeare. I saw Netflix offered The Milestone Collection: Silent Shakespeare and I thought I’d give it a try. It was interesting. 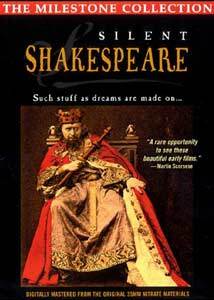 It includes brief (most are one reel — about 10 minutes) renditions of seven plays: King John (Britain, 1899), The Tempest (Britain, 1908), A Midsummer Night’s Dream (USA, 1909), King Lear (Italy, 1910), Twelfth Night (USA, 1910), The Merchant of Venice (Italy, 1910), Richard III (Britain, 1911). I enjoyed the pace. I found the silent movies, with their lovely music, very relaxing to watch. Yet because the plots are so abbreviated, the stories move right along. Some of the films are incomplete or jump around, but they’re interesting to watch. I like the stylized acting and the facial expressions. It’s fun to watch. Such a different era. The costumes are nice. 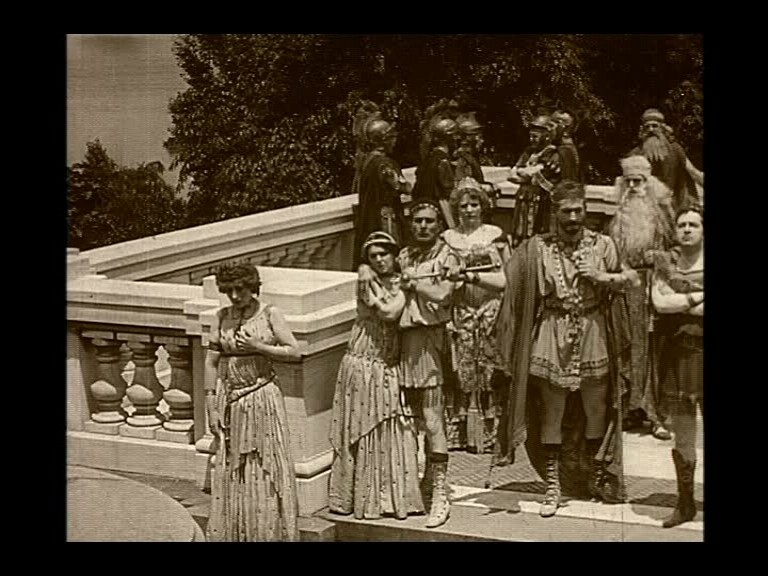 I liked seeing actual Athenians dressed in Greek attire in A Midsummer Night’s Dream. 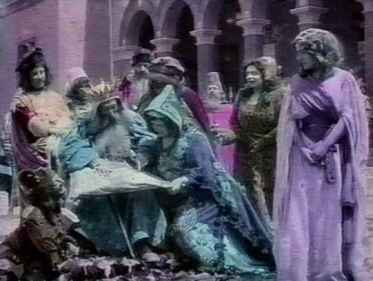 I enjoyed seeing the Merchant of Venice filmed on location in Venice! Beautiful! 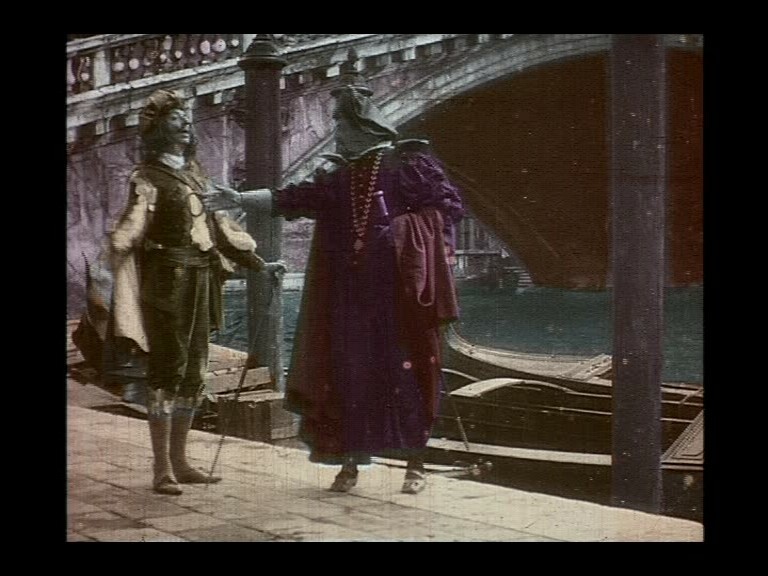 Two of the films, King Lear and the Merchant of Venice are tinted with beautiful colors. I don’t know what the process was they used, but the skin remains black and white–only the clothing and some of the backgrounds are vivid. It’s an interesting contrast! Okay, let’s face it… this is an oddity. I could not always follow the story lines and I admit to fast-forwarding through some of it, but still, I thought it was pretty cool to see these early films!